Parliament Of Owls: Things that make me VERY excited. So I bought a bicycle. Afer all my banging on about how wonderful it would be. A folding bike. 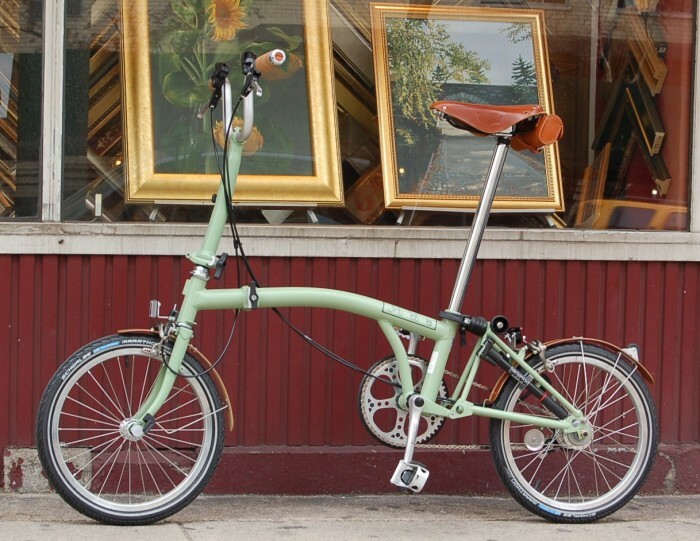 A bloody Brompton. And it is in sage green (like this one) and makesmewanttodieitissoveryverybeautiful. I went on a 'test-ride' around Leeds station (and a policewoman rolled her eyes at me for being on the pavement). I picked every little detail myself out of a catalogue. Oh my goodness. Now I just have to wait ten weeks for them to make the bloody thing. Gaaaah.